OnOne Software has released Genuine Fractal 6.0 (details), and I was hoping to see it in action at the Photoshop World Conference in Boston. They claim you can take a 12mp image up to 75x115 inches! That's deeply insane and makes me drool about about making posters from shots taken with older digital cameras. The key is in the edge detail - GF's processing preserves edges much better than Photoshop's native resizing algorithms. I just moved into a new office with some new wallspace, so I may be taking GF 6.0 for a spin. For $160, why not? Other exciting applications are resizing video exported as frames. I wonder how it compares to Red Giant's Instant HD? Since the leap from SD to HD is fairly small, it may not be noticeably better. But for taking frames from video and resizing them for some print work - GF may be a good tool. 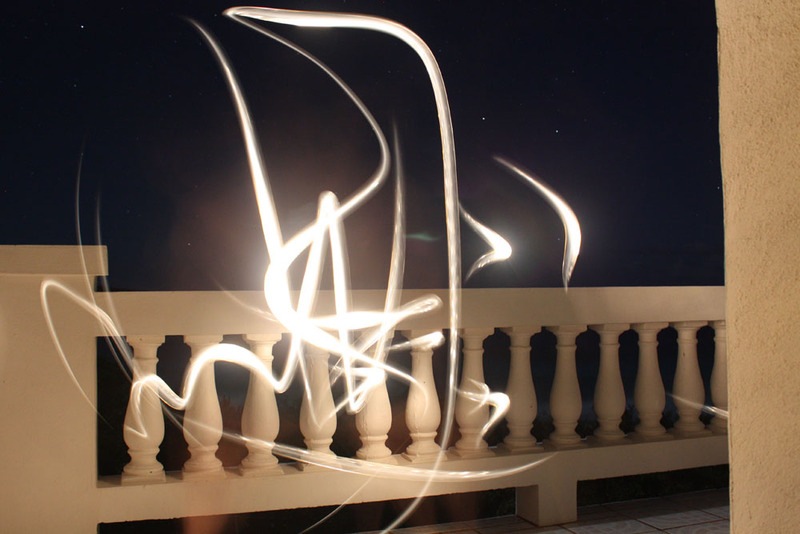 After finding some shots of Pablo Picasso drawing with a pen light, I could not resist trying this. My drawing was...marginal, but at least the setting was gorgeous. 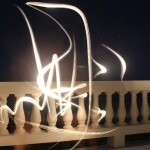 For some great examples of full moon light painting, check out www.lostamerica.com.